5/6. Room. The stay was a great experience. 6/6. Really good value for money. Friendly staff and lovely food. 6/6. What a pleasure. Myself and family travelled 250 miles for a funeral. We had such a warm welcome, it lifted our spirits right away. The rooms were very comfortable, with coffee and tea available. Breakfast was superb, couldn't have asked for better. 6/6. Single room bed and breakfast. Booked into this hotel for a few nights stay in early October 2012. The staff were very friendly and welcoming. 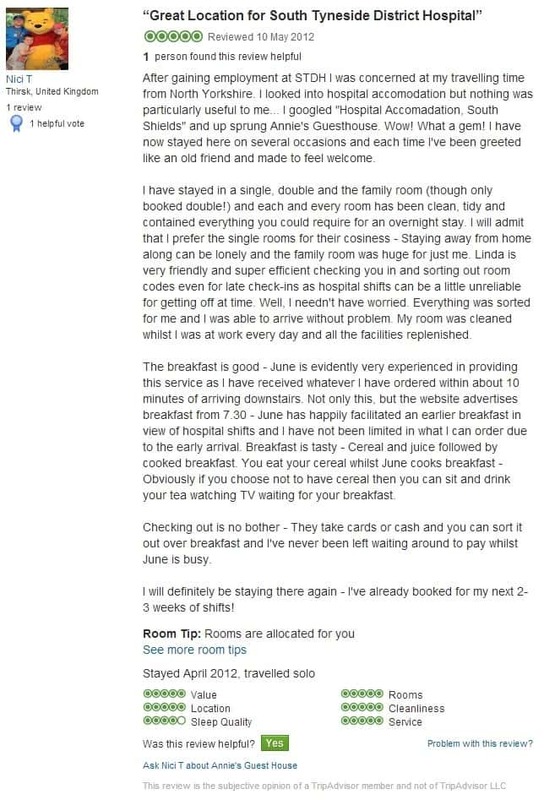 The room was very clean, tidy and was the right size, not too large and not too small. It was large enough to move around in, with the bags. There were tea/coffee and even a small iron and ironing board in the wardrobe. 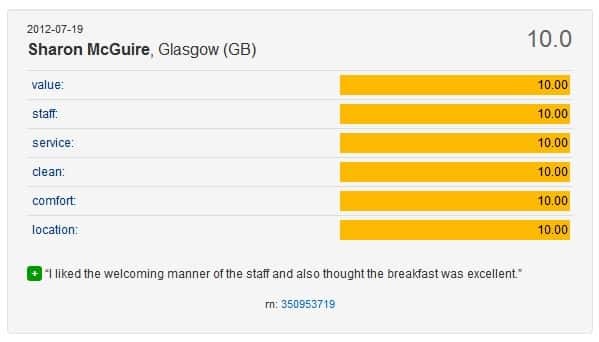 Good choice of breakfast cereals were available along with a good quality English breakfast. This was cooked to order so the food was piping hot and you could have a choice as to what you had. Hotel was near enough to the town centre, bus station and the metro station for ease of access. All the amenities were about a 10 minute walk away. The sea front was even closer being within 5 minutes walk along with large open parks. All in all this was a very friendly well run hotel that will make for a nice pleasant stay. 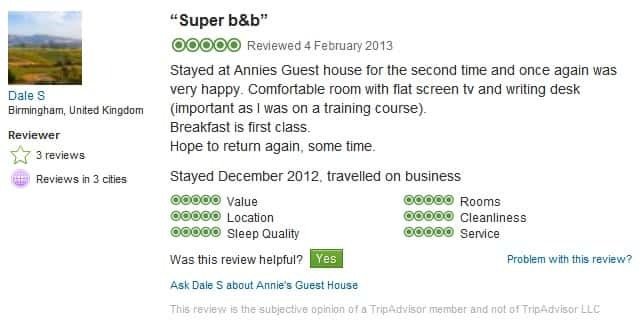 Very pleasant stay. Great breakfast. Thank you very much! Very good. Thank you. Thanks to June. Thanks for a very nice stay. Excellent breakfast, good nights sleep. Great value for money. 5/5. Nice quiet location good standard of accommodation. Room well maintained, included iron, ironing board, extra blankets, hairdryer, wooden coat hangers in wardrobe, 30ml toiletry bottles etc. Sea view was great. Very comfortable. Staff very good, friendly and keen to help with any requests. 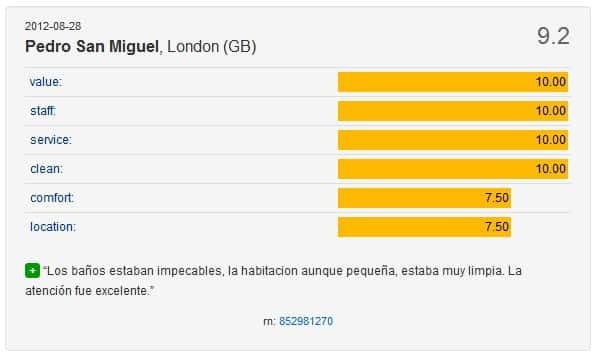 - Comments from a guest who stayed for eight nights in one of our standard single bedrooms. Excellent stay could not have asked for more staff tremendous. Thank you very much for having us. We will tell everyone to stay here we will be back again. 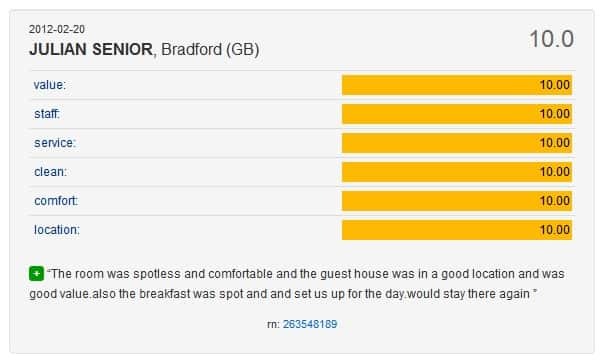 - Comments from four guests who stayed for three nights in our standard quad room. 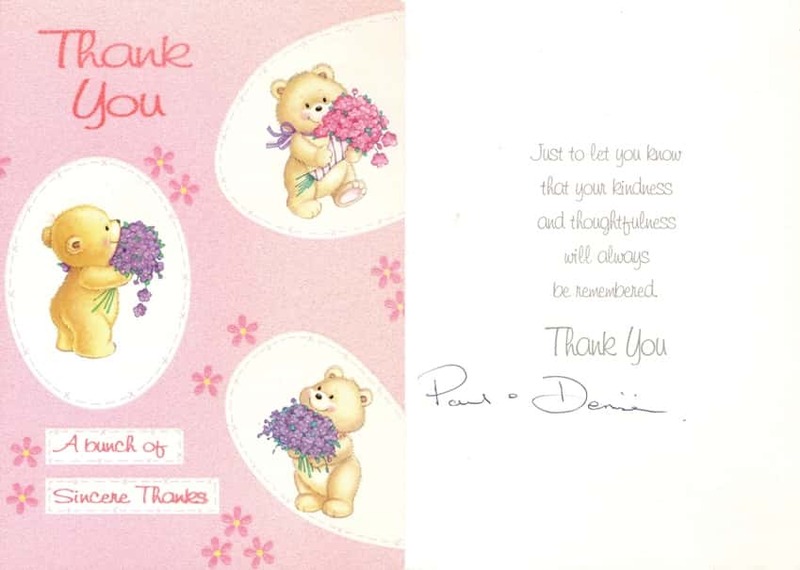 Thank you card from a guest who regularly stays with us in one of our en suite double bedrooms. 5/5. Free secure bike parking was excellent. 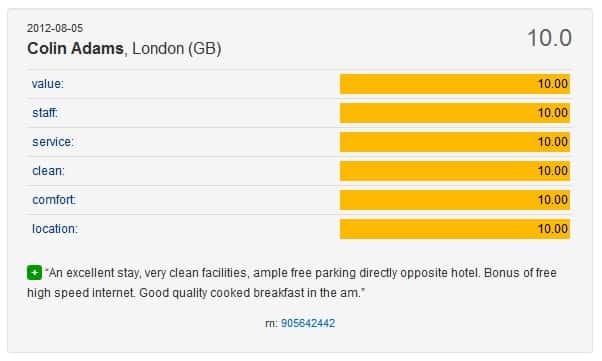 Room was a good size, very clean and the staff were friendly and welcoming, hotel fully met our needs providing good value for money. 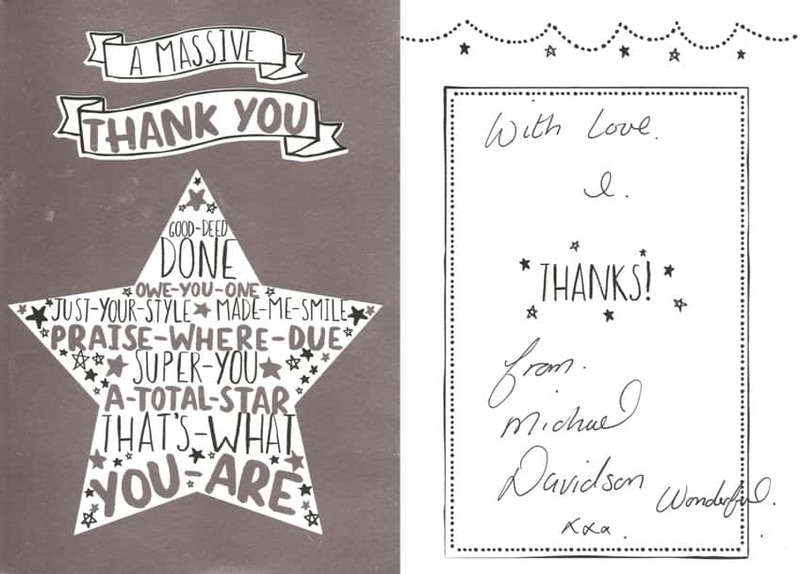 - Thank you card from a family who stayed in an en suite double and an en suite triple bedroom for four nights. 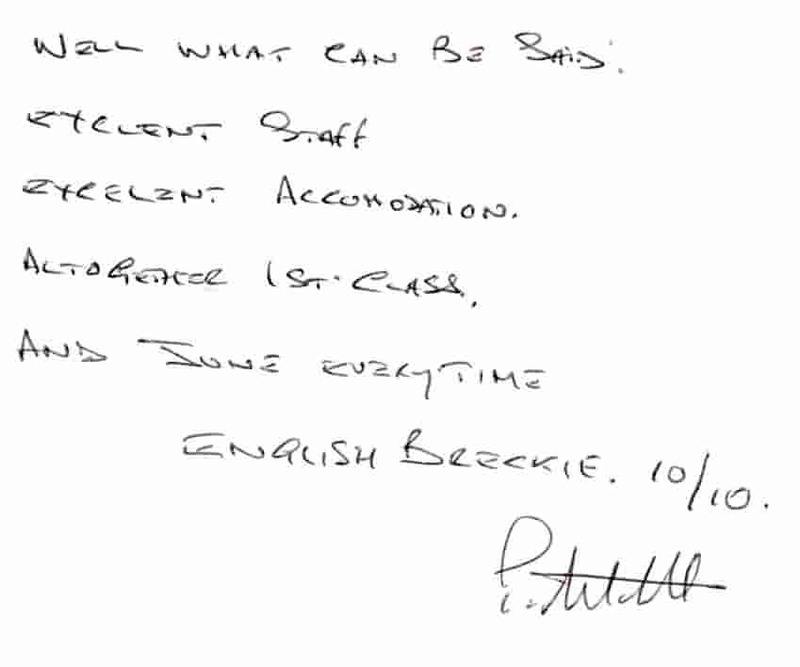 - Comments from guests who regularly stay with us in one of our en suite triple bedrooms. 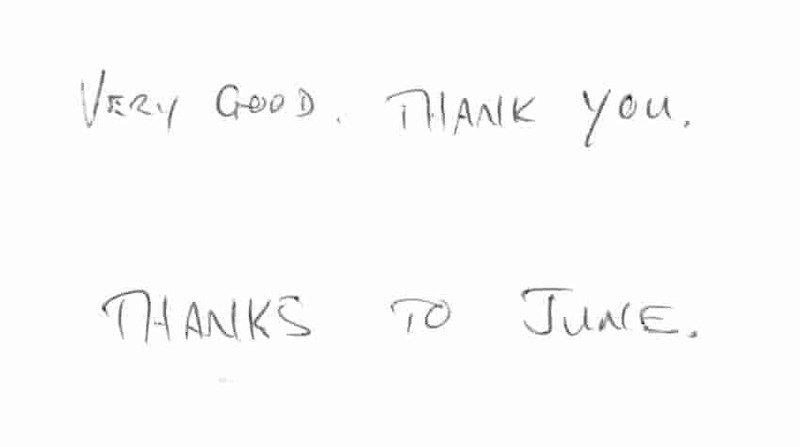 Comments from guests who stayed two nights in our standard twin bedroom. 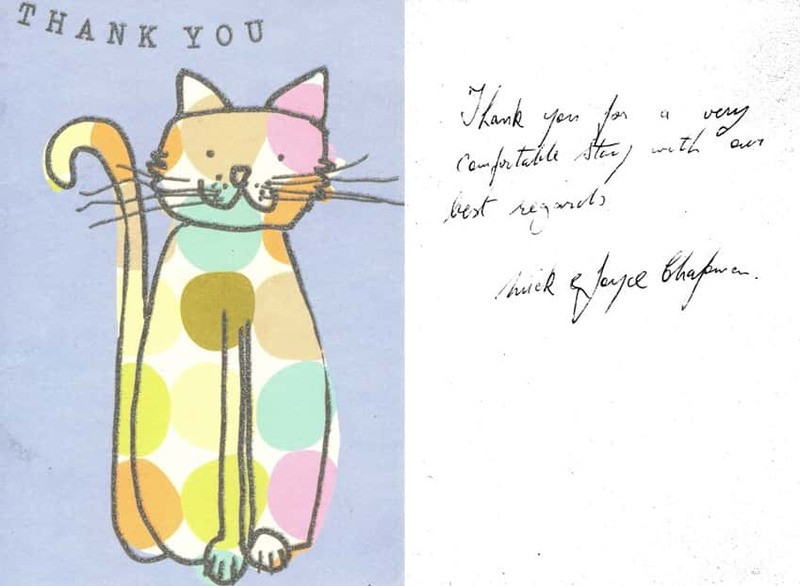 Thank you card from a guest who stayed in one of our standard single bedrooms for twelve weeks whilst studying at South Tyneside College. 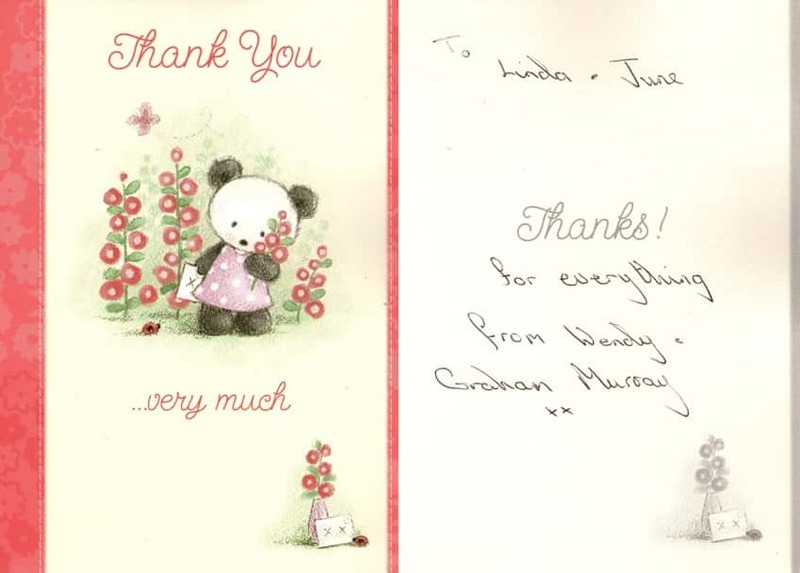 Thank you card from a couple who stayed in one of our standard double bedrooms for three nights. 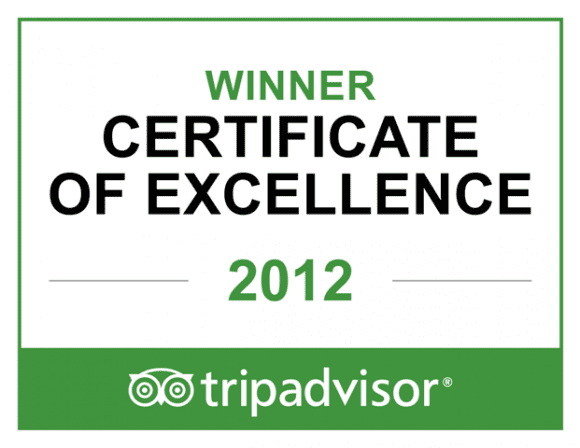 TripAdvisor Certificate Of Excellence 2012. 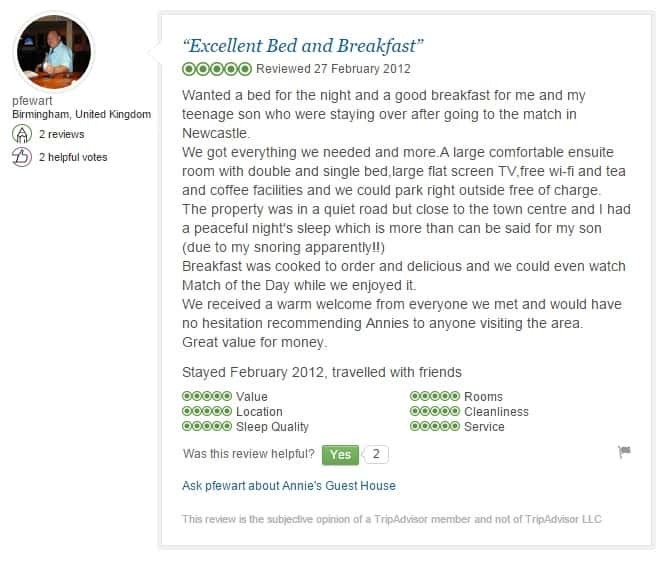 Dear Annie's Guest House. Thank you very much for your lovely hospitality and welcoming atmosphere. We have enjoyed our stays here immensely. We will be recommending you. Thanks again. PS The breakfasts are always delicious too. 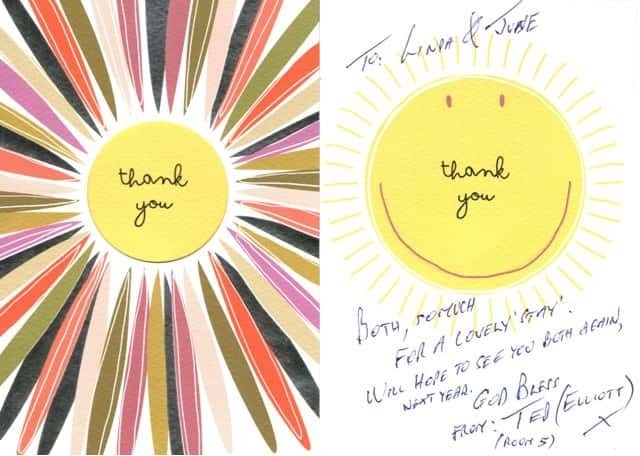 - Thank you card from guests who stayed in our standard twin bedroom for six nights. 5/5. The staff were very pleasant and friendly. They gave us very good directions of local area and the buses we needed to catch and things like that. The atmosphere was very pleasant and a good hearty breakfast in the morning. 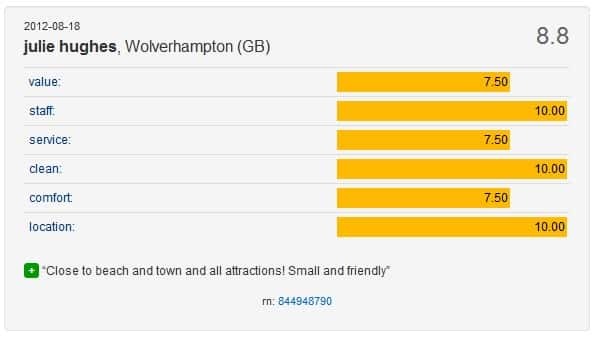 Plus free parking and wifi. 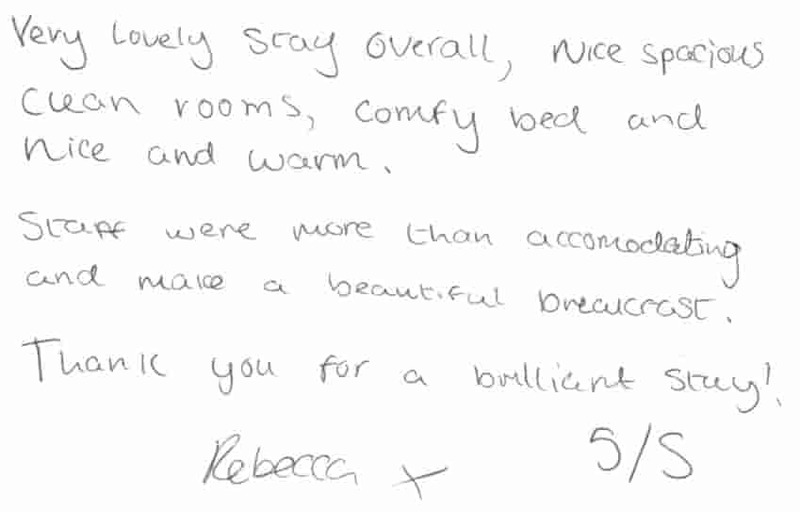 Thank you card from a guest who stayed in one of our standard single bedrooms for ten nights. Thank you for making us so welcome, nothing was too much trouble. 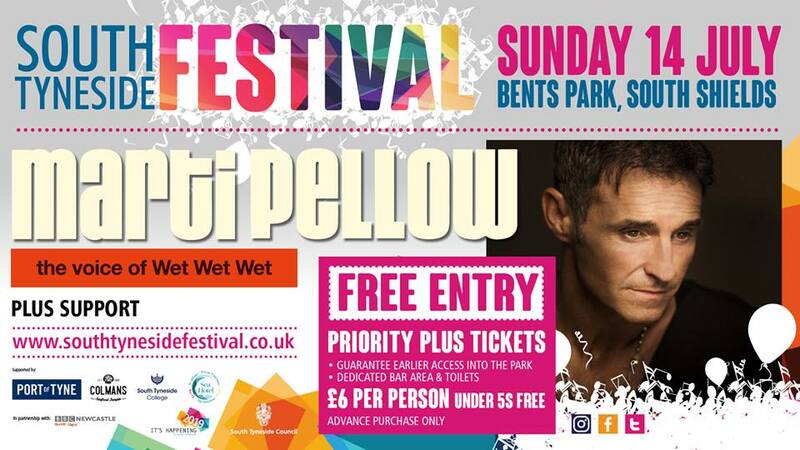 If you are ever in the Millom area, come and visit two old "Millomites". Best regards. 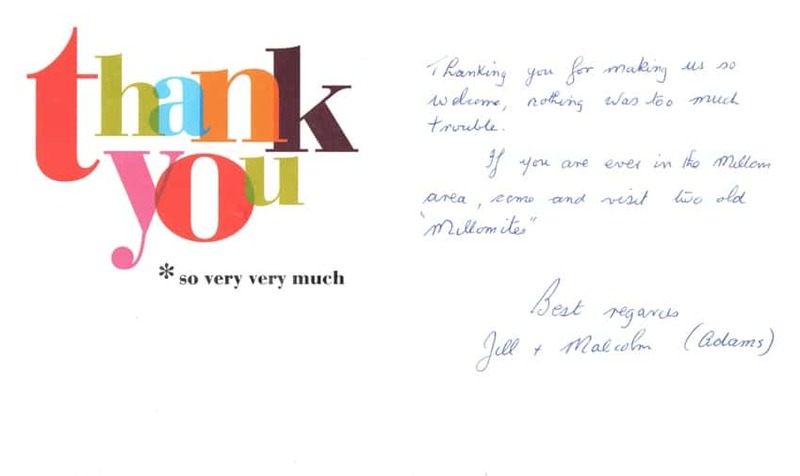 - Thank you card from a couple who stayed in one of our en suite double bedrooms for five nights. 5/5. Excellent Bed and Breakfast. Wanted a bed for the night and a good breakfast for me and my teenage son who were staying over after going to the match in Newcastle. We got everything we needed and more. A large comfortable ensuite room with double and single bed, large flat screen TV, free wi-fi and tea and coffee facilities and we could park right outside free of charge. The property was in a quiet road but close to the town centre and I had a peaceful night's sleep which is more than can be said for my son (due to my snoring apparently!!) Breakfast was cooked to order and delicious and we could even watch Match of the Day while we enjoyed it. 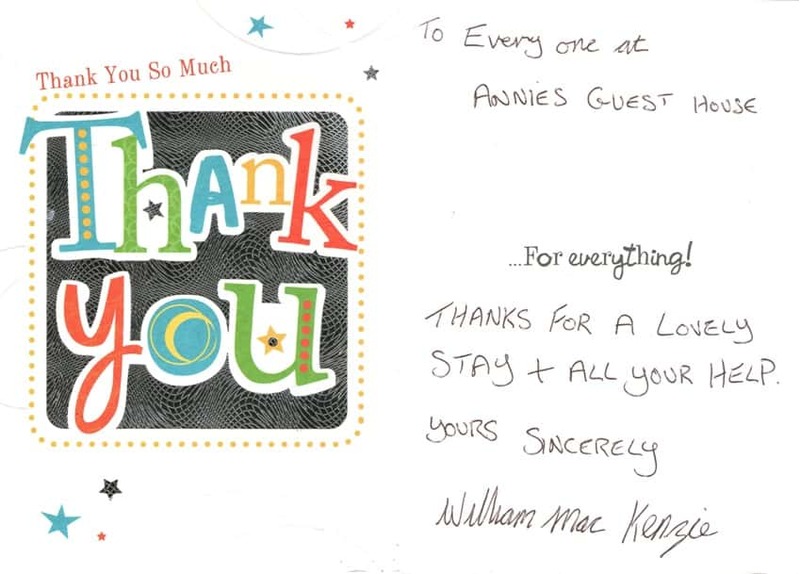 We received a warm welcome from everyone we met and would have no hesitation recommending Annies to anyone visiting the area. Great value for money. 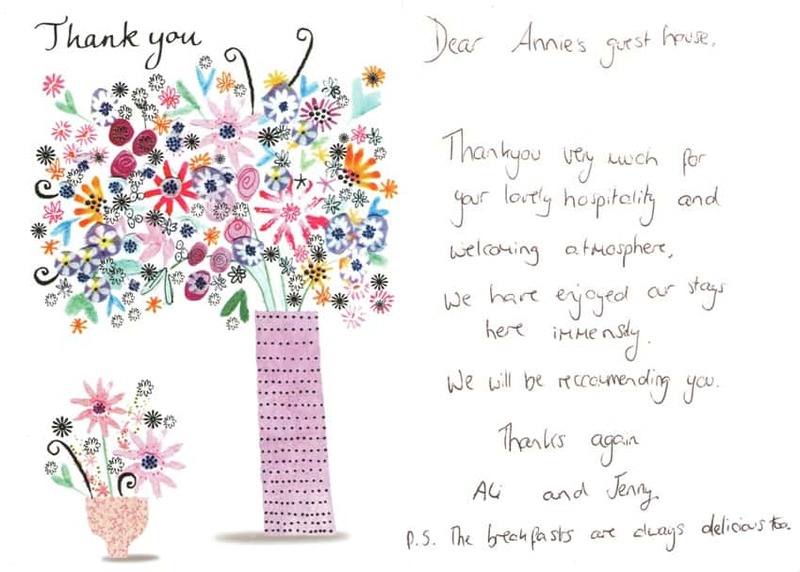 Thank you card from guests who stayed four nights in one of our en suite double bedrooms. 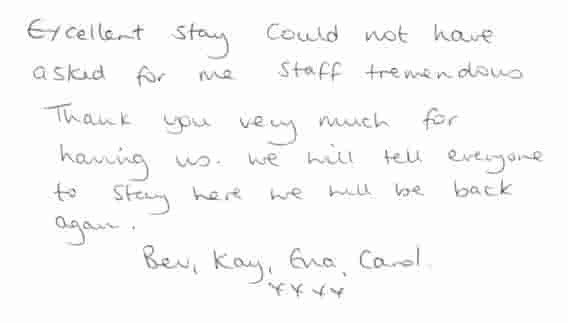 Thank you card from guests who stayed five nights in one of our en suite twin bedrooms. 5/5. The place was very clean, and had a great solid wood bed, large flat screen tv and plenty of tea and coffee in the room. It was also remarkably cheap accommodation for the quality of it. Thank you for a very comfortable stay with our best regards. 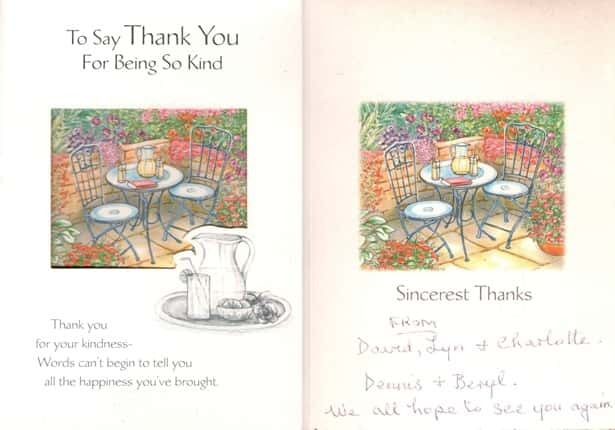 - Thank you card from guests who stayed seven nights in one of our standard double bedrooms.